Keepers at Paignton Zoo in Devon are using Moore & Wright calipers supplied by Bowers Group to measure the growth and development of Critically Endangered spider tortoises. As the first zoo in the UK to successfully breed the spider tortoise (Pyxis arachnoides), Paignton Zoo are in the process of rearing the youngster, before sending the reptile on to another zoo to further extend the breeding programme. It is very important to closely monitor the spider tortoise whilst it is reared. 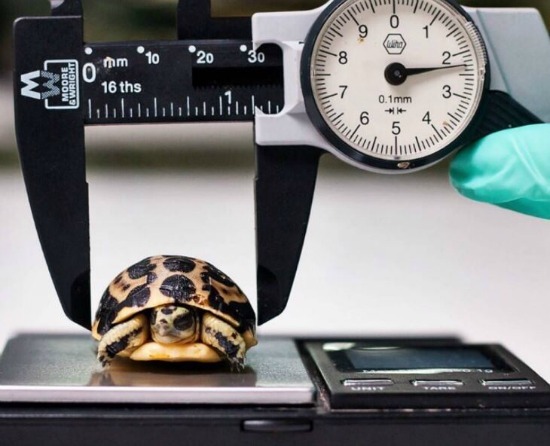 Measurements taken from the width of the spider tortoise’s shell are a good indicator of healthy growth and development. Precise and accurate measurements are a must, as well as ensuring that the measurement process causes no unnecessary disruption to the reptile. Due to the size of the tortoise, a method was needed that would very precisely determine measurements down to fractions of a millimetre. Bowers Group supplied Paignton Zoo with a Moore & Wright Plastic Dial Caliper to accurately measure the spider tortoises, ensuring the health and development of the reptile is closely monitored. The dial calipers are perfect for the accurate measurements required by the zoo keepers in charge of the tortoise’s care, boasting an accuracy ± 0.1mm / ± 0.004" accuracy. 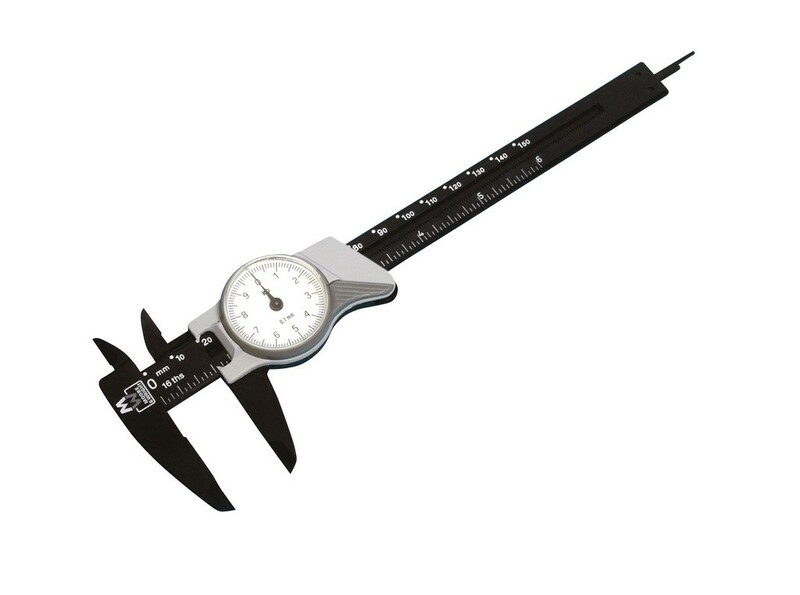 Manufactured from glass reinforced nylon material, the Moore & Wright Plastic Dial Calipers are highly durable, as well as precise, accurate and perfect for repeatable measurement. Dr Katy Upton, Senior Keeper, Lower Vertebrates & Invertebrates Department at Paignton Zoo said: “We use the Moore & Wright Plastic Dial Calipers because we like the ease of reading the measurement from them. They are so simple and straightforward that it’s easy for lots of different people to use them, and still get the same result. They’re so simple to read. Paignton Zoo is one of the UK's most popular zoos, as well as a conservation and education charity. Based in Paignton, Devon, the zoo houses over two thousand creatures and offers visitors the opportunity to see daily keeper talks, animal feeding sessions, and six animal habitats. The spider tortoise is not only one of the world’s smallest tortoises, it’s also on the brink of extinction. Found around the south western coast of Madagascar, the adults are only around 6 inches long, and take their name comes from the spider’s web patterns on the shell. Little is known about the life cycle of this tortoise, although it’s thought to live for up to 70 years. One thing that is well understood is the threat of extinction. The IUCN Red List classes the species as Critically Endangered, which is just one step away from Extinct in the Wild. Paignton Zoo is home to four adults; two males and two females, ranging in age from 11 to 22 years. Experienced keeper Andy Meek devised a husbandry protocol for the tortoises based on field data and the experiences of other collections. He managed to mimic the natural seasonal changes that the adult animals would experience in the wild, including the corresponding fluctuations in weather and diet, as well as spraying the tortoises with water to simulate rainfall. One of the critical elements is a period of brumation; a state of dormancy during a cooler time of the year. Mating tends to occur after this period. One single egg was laid at the zoo (which is normal for this species) and hatched after roughly 180 days of incubation. The egg then needed a cooling period to ensure a delay in development, and was then incubated by staff in a special custom-made incubator, with progress monitored carefully and daily records kept. The egg hatched on Wednesday 25th April, making Paignton Zoo the first successful UK zoo to breed the spider tortoise.